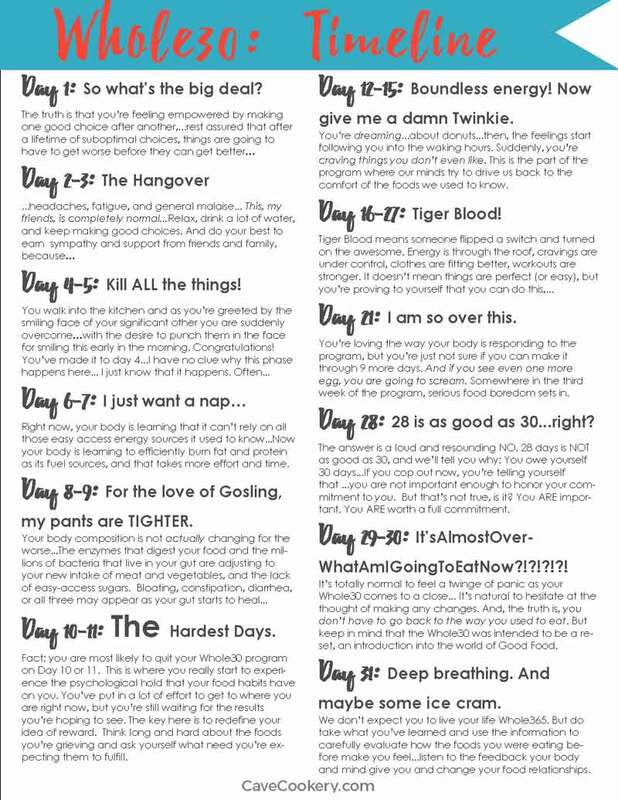 Whole30 Round 2 – HERE WE COME! The first time we did a Whole30 was January 2015. Now, it’s three years later and we are feeling the need for a reset. January 1st was not a great day to begin around the Cave so we’re going to get rolling on January 22nd, 2018! If you’re a little behind on your resolution or want to give it a go again or you messed up your first try or whatever come back here and follow us on Instagram for community and inspiration! Absolutely begin with the book It Starts With Food, by Melissa and Dallas Hartwig. 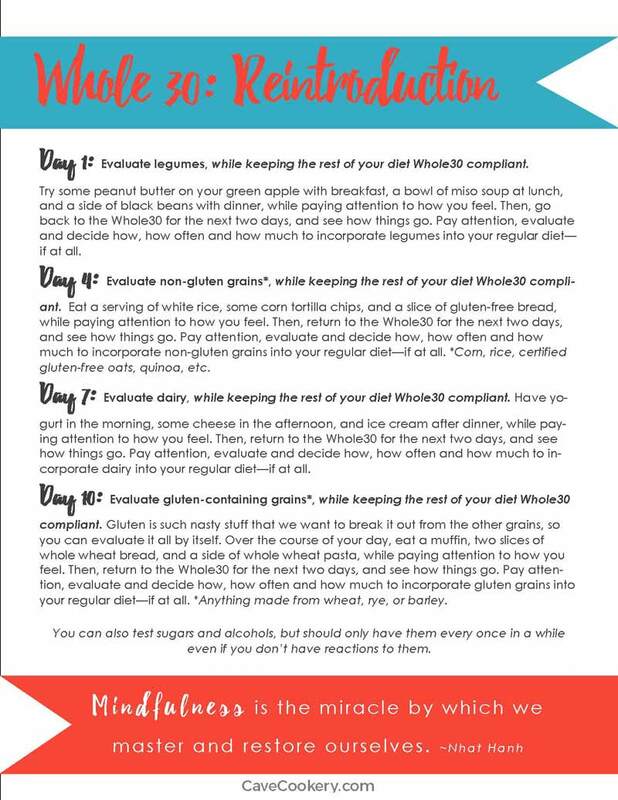 If it’s the night before you want to begin then maybe just head over to the Whole30 website. Most of the information that is in the book is on the blog. The book just goes a bit more in-depth (which is nice when you need to explain why grass-fed beef is worth the extra money because people will question your choices). 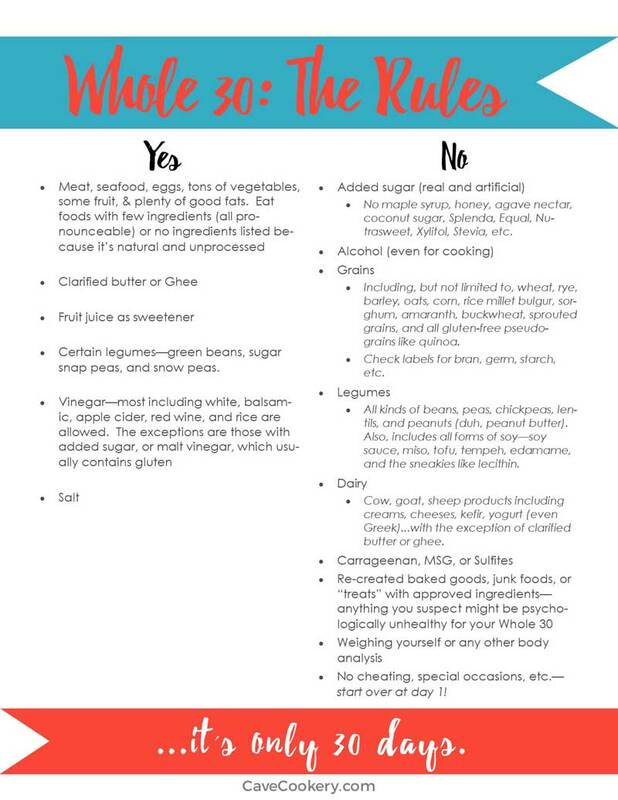 Once you have read all about the Whole30 (probably multiple times) it is time to plan! I’m a planner and I just can’t function without a good one. 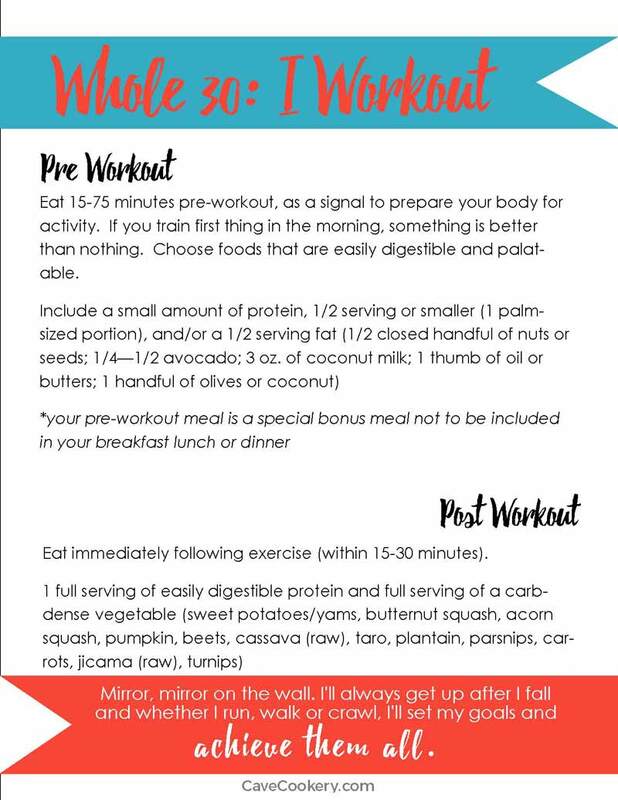 I need weekly meal plans – ready to go that include all three meals….AND there are certain points of the program that are great to be able to reference as needed (on the side of my refrigerator). However, my printables from 2015 look a little dated so I updated them. 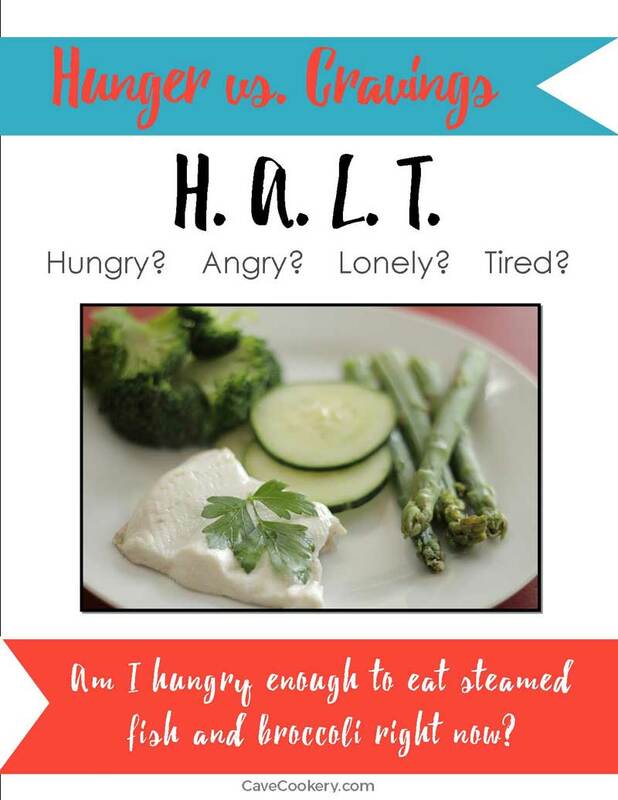 Here are the new and improved printables for us to share! Plus, I like to print out the provided Meal Planning Template. So, that is how I complete my basic set up. Next, more planning of actual meals for our Whole30 Round 2!